You can now catch up on the presentations by going to our YouTube channel. The day involved presentations from our Core and Associate Partners punctuated with discussions over tea and coffee, with lunch provided. This meeting provided a forum for users from academia, industry and healthcare sectors to meet with open source software developers alongside independent software and hardware vendors, in order to determine what the best selection of capabilities is to meet their own needs. It helped CompBioMed to define directions in which we would like to advance our users’ interests. 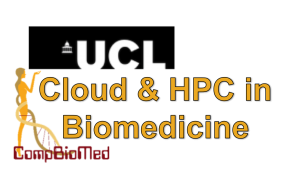 The main objective of the CoE is to nurture and promote the uptake and exploitation of high performance computing (HPC) within the biomedical community. We are keen to form partnerships throughout the world that will strengthen the project’s collaborative output.